It has a fruity green olive aroma with slight hints of ripe olives, olive leaf and grass. In the mouth it has a slight but and well balanced spice and bitterness. 3rd Place Mario Solinas 2016. Internation Olive Council (IOC). 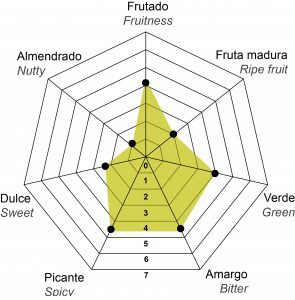 Category mild fruitiness. 3rd Place Mario Solinas 2015. Internation Olive Council (IOC). Category mild fruitiness. 3rd Place Mario Solinas 2014. Internation Olive Council (IOC). Category mild fruitiness. 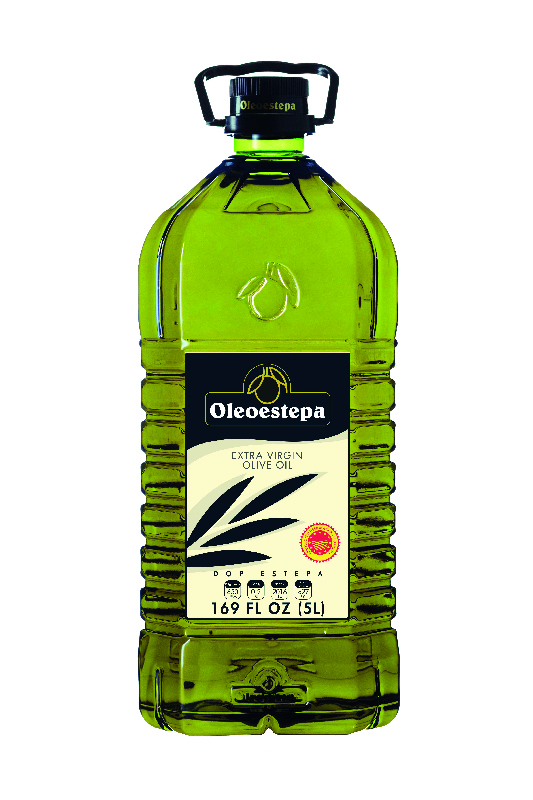 1st Place Best Extra Virgin Olive Oil in the province of Seville. Council of Seville. 2000-16 harvests.